Double-faced interlock stretch fabric with soft, brushed finish. 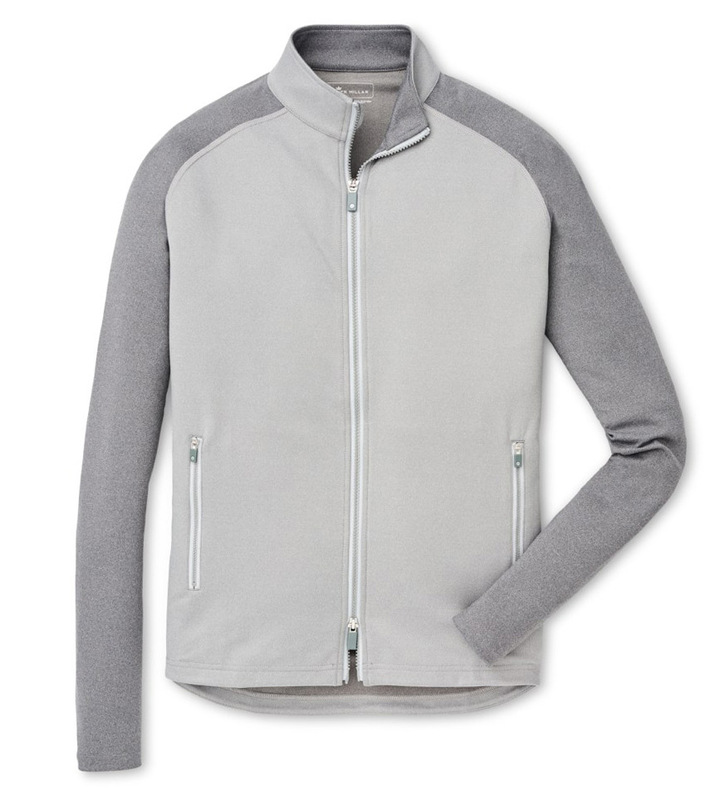 Trim active fit, two-way zip, stand-up collar, raglan sleeves, zip pockets, straight hem in front with slighty curved back. 81% polyester/19% spandex. Machine wash. Imported.